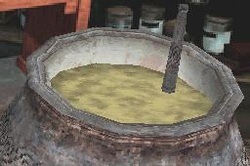 Aging Potion -- A potion that depending on the amount taken, ages the drinker to various ages. Antidote to Veritaserum -- A potion that removes the effects of Veritaserum. Babbling Beverage -- A potion that causes uncontrollable speaking of nonsense. Confusing Concoction -- A potion that makes the taker confused and reckless. Ingredients include scurvy grass, lovage, and sneezewort. 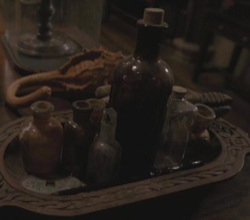 Blood-Replenishing Potion -- A potion that replenishes the taker's blood if they have been injured and lost blood. 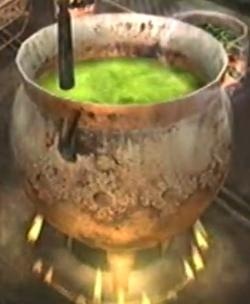 Boil-Cure Potion -- A potion that rids the taker of boils. Bruise removal paste -- A paste invented by Fred and George Weasley to remove bruises. 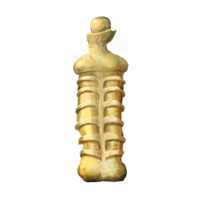 Burn-healing paste -- A thick paste used to heal burns. 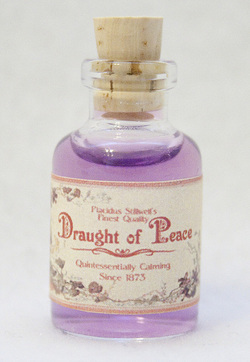 Calming Draught -- A potion that calms the user of shock, trauma, etc..
Deflating Draught -- A potion that deflates anything swollen by magical means. Developing solution -- A potion used in the developing of magical photographs, making them move. Doxycide -- A solution that kills Doxys. Dr. Ubbly's Oblivious Unction -- Heals wounds given by thoughts. 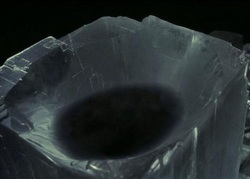 Essence of Dittany -- A potion that regrows skin over a wound. Everlasting Elixirs -- A potion with the effect to either never run out of potion or to work forever. Fire Protection Potion -- A potion that protects against fire. Known ingredients include Bursting mushrooms, Salamander blood, and Wartcap powder. Garrotting Gas -- A gas that induces choking and possibly suffocates the taker. Herbicide Potion -- A potion that either kills or damages plants. Invigoration Draught -- A potion that is presumed to give the taker an energy boost. A potion that gives the taker extra endurance. 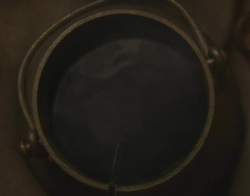 A potion that places the taker in a state of sleep that makes them seem like they are dead. Characteristics: Turns pale lilac color then clear. 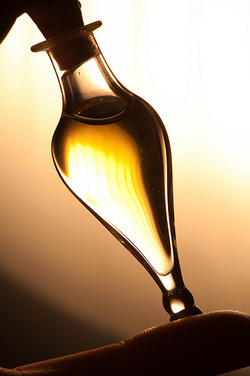 The world's strongest Love Potion; does not create real love, just powerful obsession. Effect: Causes the drinker to become infatuated with the giver of the potion. Side effects: Drinker remembers being under potion's influence and is typically left embarassed because of the potent and obvious effects of the potion on the drinker. Appearance: It has a distinctive mother-of-pearl sheen, and steam rises from it in characteristic spirals. Smell: It has a different aroma for everyone who smells it, reminding each person of the things that they find most attractive, even if the person themselves doesn't acknowledge or is unaware of their fondness for the object of their affection e.g. Hermione Granger smells fresh cut grass, new parchment, and spearmint toothpaste. 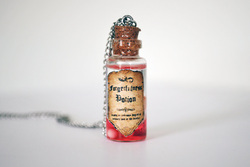 A potion that puts the taker in extreme pain. 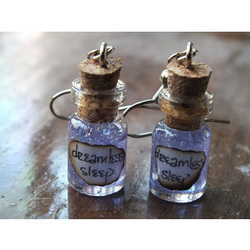 A potion that places the taker in a sleep that is dreamless. 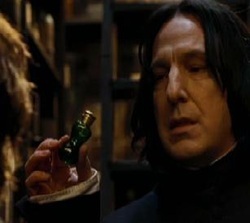 A potion that induces a sense of inexplicable, irrational happiness upon the drinker. Effect: Induces a sense of irrational happiness upon the drinker, cures depression. 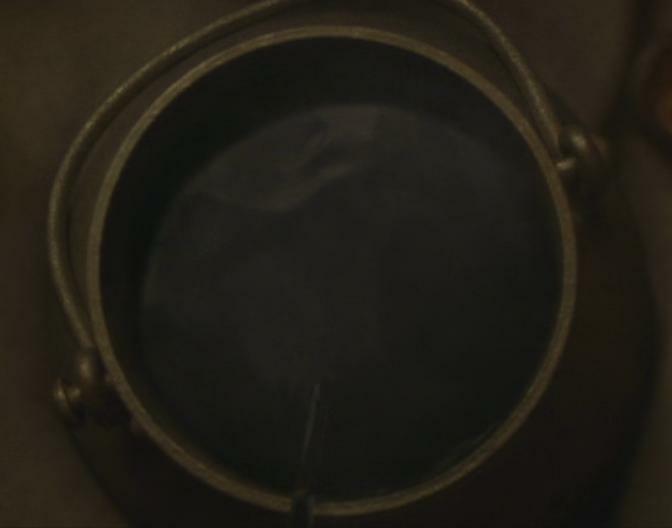 A potion created from a the Philosopher's Stone that extend the taker's life. 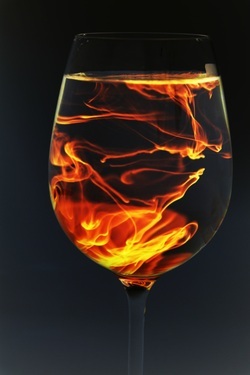 A magical potion that makes the taker successful in all their endeavors. 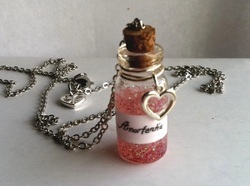 A potion that makes the taker forgetful. Manufacturer: Rubens Winikus and Company Inc.
Effect: Eases the symptoms of lycanthropy; prevents werewolves from losing their minds post-transformation.